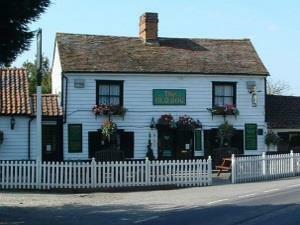 The Olde Dog Inn01277 810377work Restaurant - PubFamily owned and run for the last 30 years; our status as one of the few remaining free houses in Essex affords us the ability to offer a huge variety of seasonal beers, wines and food. The pub is very well known for its ever changing real ale selection, with gravity fed Guest Beers sourced from some of the country’s finest Micro-Breweries sharing the bar with some more established National brands. In addition to this we now offer our own “Olde Dog IPA” brewed for us by local award winning brewery Crouch Vale. Family owned and run for the last 30 years; our status as one of the few remaining free houses in Essex affords us the ability to offer a huge variety of seasonal beers, wines and food. The pub is very well known for its ever changing real ale selection, with gravity fed Guest Beers sourced from some of the country’s finest Micro-Breweries sharing the bar with some more established National brands. In addition to this we now offer our own “Olde Dog IPA” brewed for us by local award winning brewery Crouch Vale. Seasonal availability dictates our varied menu, which is displayed on chalkboards throughout our dining rooms. Fresh fish (from Mersea Island) is delivered 6 days a week and wherever possible James and his team source as many ingredients as possible from the local area. Our “For The Bar” menu offers lighter options such as a traditional Pint of Prawns, freshly made sandwiches and the ever popular ploughman’s.